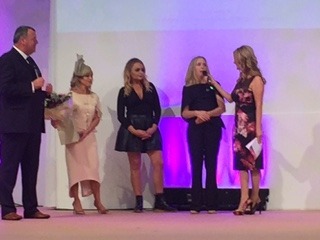 Maire speaking at the RDS Wedding & Honeymoon Show Dublin after she presented a Mother of the Bride with a bouquette of flowers. She was wearing one of Maire’s creations. Maire also spoke about her Fashion business with TV 3 Presenter.